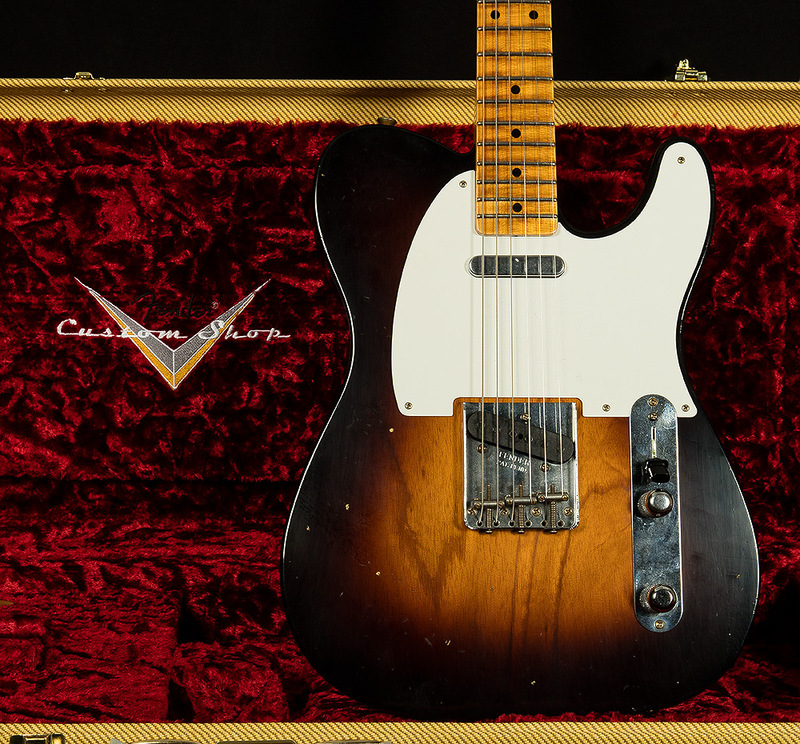 Wildwoodians, we are proud to showcase one of the stars of the Fender Custom Shop's 2019 collection: the 1956 Telecaster. With its sweet-sounding hand-wound '55/'56 Custom Shop Tele pickups, it puts out glorious classic Fender tone. The bridge pickup is full of punchy mids and sizzling-hot highs along with tight bass response, while the neck pickup is warm, smooth, and vocal. It's also quite a comfortable guitar to play--the modern 9.5" radius and 6105 frets provide well-rounded feel that suits just about every playing style. 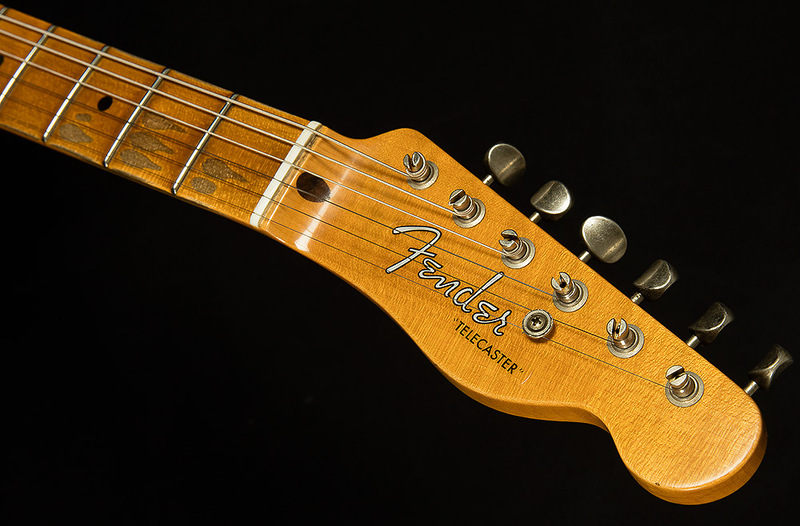 Oh, and we can't forget the comfy 10/56 V-shaped neck profile--a perpetual Wildwood fave, and for good reason. 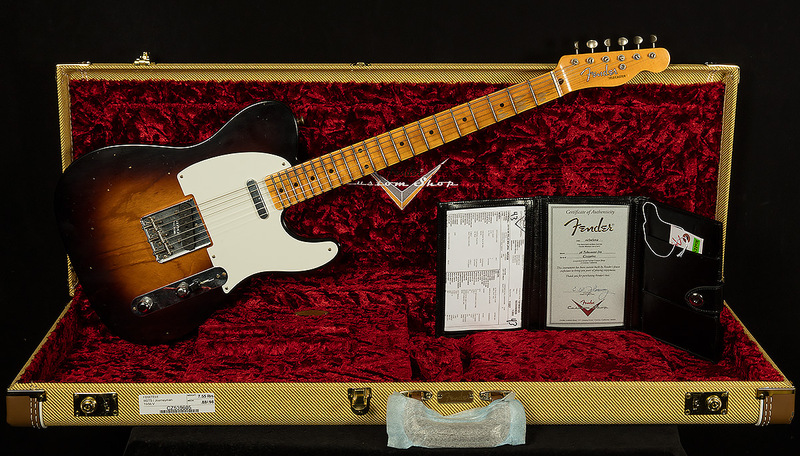 Top it off with a sweet journeyman relic finish, and you've got one slick '56! We're proud to showcase such a cool guitar, and we know the '56 Tele from the 2019 Custom Collection will provide some lucky Fender fanatic with a lifetime of inspiration.